Teachers need little special training to involve students in outdoor learning experiences. However, developing the abilities outlined in this Digest will help "enhance the value" of those experiences. For teachers who regularly lead outdoor learning experiences, this Digest provides a guide for professional development efforts. The Digest begins by describing studies that have had a major influence on developing standards of competence in outdoor education. The balance of the Digest outlines leader skills needed for effective outdoor education, based on recent standards drafted for the North American Association for Environmental Education. Several studies have influenced ideas about effective outdoor education practice. Holt (1974), for example, developed a list of competencies from his reading of the outdoor education literature. His list included a broad range of subject fields, first aid and safety concerns, camping activities, and general outdoor education techniques. Other writers providing guidance include Buell (1983), Priest (1993), and Swiderski (1984). Buell, for instance, identified specific knowledge, skills, and behaviors. He divided them into his "Top Ten Entry-Level" and "Top Ten Experience-Level" competencies. 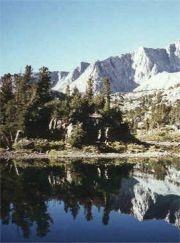 Johnson (1989) compared knowledge and skills needed to lead various types of outdoor programs, such as residential camping, outdoor education, and environmental interpretation. Outdoor and environmental educators share similar principles of outdoor learning. Thus, the performance standards recently drafted by the North American Association for Environmental Education (NAAEE) (Simmons, 1995) can serve as a useful guide for outdoor education generally. NAAEE-recommended competencies fall into seven categories: (1) knowledge and skills, (2) educational and psychological foundations, (3) outdoor education foundations, (4) environmental understandings, (5) instructional methodologies, (6) learning environment, and (7) assessment. Descriptions of each of these areas of competence, as they apply to outdoor education specifically, make up the remainder of this Digest. Depending upon the nature of the activity, outdoor educators need skills in safety, group management, problem solving, using technical equipment and tools, protecting the environment, and organizing excursions or expeditions (Priest, 1993). Safety--an area that must never be compromised in leader qualifications--begins with wise activity choices and good sense. Other safety skills relate directly to the particular activity planned (for example, demonstrated ability to lead rock climbing, swimming, canoeing, and so forth). Group management skills keep the group dynamic positive and group members working toward their task. Strong problem-solving skills help overcome obstacles and address emergencies. Technical skills help leaders use equipment needed to conduct particular outdoor activities. Environmental skills help prevent damage to the natural surroundings and provide a model for environmental responsibility. Organizational skills help leaders plan, prepare, conduct, and evaluate outdoor experiences. Outdoor education can occur in various settings. But whatever the location, a teacher's understanding of the learning process and child development remain important. An effective outdoor learning experience begins with clear educational goals. After setting goals, the teacher must be able to select appropriate activities, curriculum materials, and instructional strategies. Outdoor education relates well to many recent educational innovations. Service learning, constructivism, problem-based learning, cooperative learning, and interdisciplinary learning all translate well to outdoor settings (Knapp, 1996). Thus, an understanding of basic education foundations and current educational theories are as important for outdoor learning as for learning in the classroom. Planning outdoor experiences that incorporate an appropriate level of challenge requires teachers to draw on their knowledge of students' physical and intellectual development. Educators need the ability to apply theories of cognition with special emphasis on concept development and cognitive process. In the outdoor setting, teachers can help students use intellectual skills to infer, hypothesize, collect and analyze data, and draw conclusions. Finally, familiarity with theories of transference helps teachers design outdoor activities that provide the opportunity for students to gain knowledge and skills they can use in their day-to-day lives. Outdoor education has enjoyed a long history, beginning with camping education and school camping experiences of the 1930s. It is distinctive in its methodology. Educators interested in conducting outdoor education experiences regularly would benefit from a grounding in the history and evolution of outdoor education. Briefly stated, outdoor education involves a structured experience for students, usually involving a challenge (possibly including an element of risk); a period of reflection to help students derive meaning from the experience; and an assessment activity. Skilled outdoor educators can use outdoor experiences to achieve many general education objectives in subject areas such as the arts, language, mathematics, science, and social studies as well as social and behavioral objectives. L. B. Sharp (1943) stated simply the tradition of outdoor education: "That which can best be taught inside the schoolrooms should there be taught, and that which can best be learned through experience dealing directly with native materials and life situations outside the school should there be learned." Outdoor educators should have the knowledge and skills they need to awaken in students an environmental sensitivity or appreciation. Once this appreciation is awakened, students can often be motivated to take an active part in environmental improvement and protection. Teacher-led values clarification and other related activities can foster in students a willingness to recognize and choose among differing perspectives associated with environmental problems and issues. Skilled instruction that leads to moral reasoning helps students make their own decisions and judgments about environmental issues. An educator's knowledge should include an understanding of how natural systems work and how social systems interact with natural systems. Regarding natural systems, teachers should be able to communicate and apply major ecological concepts. Important concepts include individual, species, population, community, ecosystem, biogeochemical cycle, energy production and transfer, interdependence, niche, adaption, succession, homeostasis, and humans as an ecological variable. Regarding societal systems, educators should understand and be able to communicate the relationships between beliefs, political structures, and environmental values of various cultures. Educators should understand and communicate how human cultural activities influence the environment from an ecological perspective. They should have a clear awareness of economic, social, political, geographic, and ecological interdependence in urban and rural areas. Educators need an understanding of environmental problems and issues at all societal levels, from local to global. Issues include air quality, water and soil quality and quantity, wildlife and habitat, energy and land use, human population and health, and waste disposal. Effective classroom teaching requires a good match between educational objectives, students' developmental levels and learning styles, teachers' instructional methods, and available facilities and resources. The same could be said for outdoor teaching. Using a variety of teaching methods to directly involve students in exploring the world around them, and their relationship to it, fosters creativity and critical thinking. Outdoor education addresses learning objectives through guided direct experience in the outdoors, using the natural and built environments as resource materials. Such experiences in the outdoors provide three-dimensional reality to what is taught in the classroom and make possible depths of understanding and appreciation that may not be possible indoors. Outdoor education can occur in any outdoor setting, ranging from a school yard in an industrial neighborhood to a remote wilderness setting. As Ford (1986) describes it, outdoor education often takes place on a walk around the block or on a visit to a cemetery, gravel pit, or urban renewal project. It can happen on the concrete of a playground, in the weeds of a vacant lot, on the fringe of a sewage treatment plant, at a city zoo, on a forest trail, or in a national park. Locations like these make good sites for firsthand experiences, direct contact with a topic, and student interaction and socialization. Providing a positive learning environment is always important--indoors or outdoors. The educator must be capable of recognizing the diversity of students, responding sensitively to students in word and action, and supporting the full participation of all students. Capable outdoor educators create a safe place for learning--a community of learners. Such a setting promotes appreciation, exploration, and discovery, and provides an intellectually open, stimulating, and exciting environment. In such an environment, students pursue their own ideas individually and in groups. Teachers also guide students in self-assessment, collaborative work, and preparation of presentations of accomplished work. Capable outdoor educators model certain habits of mind, including curiosity, excitement, wonder, and imagination. If teachers are to know whether outdoor education practices have been effective, they need skill in assessment practices. In addition to assessment conducted at the district or state/provincial level, teachers should be able to determine both formally and informally whether student performance meets expectations. Part of planning an outdoor learning experience, then, becomes developing a set of criteria to use in analyzing student achievement in cognitive, affective, and behavioral dimensions. Assessments should be ongoing. It's best to use a variety of strategies, such as observing and listening to students as they work, discussing students' ideas and understandings, and asking students questions. These competencies are suggested as a framework for professional development that could enhance educators' involvement in outdoor education. Educators will want to focus on some of these competencies more than others, depending on the nature of their interests. It should be clear from reading this outline that teachers already have many of the skills that can be applied to outdoor learning situations. Teachers should not be overwhelmed by the list of competencies just outlined and consequently limit their efforts to lead outdoor learning. On the other hand, gaining an increasing number of these abilities will enrich outdoor education experiences for both students and leaders. Buell, L. (1983). Outdoor leadership competency: A manual for self-assessment and staff evaluation. Greenfield, MA: Environmental Awareness Publications. Holt, L. (1974). Identification of the competencies needed by the classroom teacher in programs of resident outdoor education. Unpublished doctoral dissertation, Ohio University, Athens. Johnson, W. C. (1989). The identification of desirable knowledge and skills in outdoor leaders of outdoor pursuits, resident camping, and outdoor education and environmental interpretation programs in the United States. Unpublished doctoral dissertation, University of Oregon, Eugene. Knapp, C. E. (1996). Just beyond the classroom: Community adventures for interdisciplinary learning. Charleston, WV: ERIC Clearinghouse on Rural Education and Small Schools. Priest, S. (1993). Important components of outdoor leadership. Pathways: The Ontario Journal of Outdoor Education, 5(4), 13-16. Simmons, D. (1995). The NAAEE standards project: Papers on the development of environmental education standards. Troy, OH: North American Association for Environmental Education. Michelle Richardson is an elementary school teacher in Ottawa, Ontario, Canada, and has recently received her M.S.Ed. with a specialization in Outdoor Teacher Education from Northern Illinois University. Deborah Simmons is an Associate Professor of Outdoor Teacher Education at Northern Illinois University, and has served on the Board of Directors of the North American Association for Environmental Education. This publication was prepared with funding from the Office of Educational Research and Improvement, U.S. Department of Education, under contract no. RR93002012. The opinions expressed herein do not necessarily reflect the positions or policies of OERI, the Department, or AEL. Title: Recommended Competencies for Outdoor Educators. ERIC Digest.